Develop and practice an original, compelling naname (slant-drum) solo for use in the Matsuri Crashers Battles or as source material for solos in your own group's music. Learn new rhythms and how to choreograph your own movements, plus how to effectively combine them to create a unified, exciting solo. 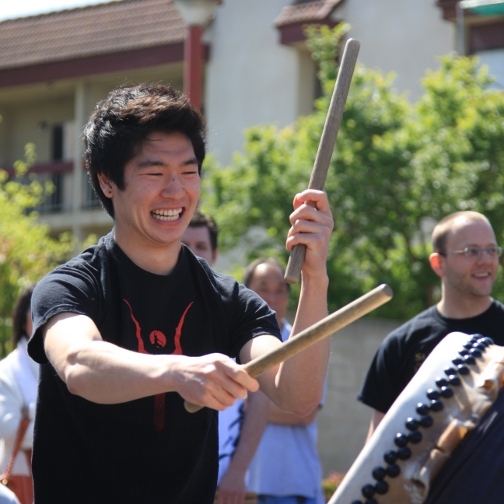 Register now to prepare for the Bachi BBQ recital in May and the World Taiko Gathering battle in July! Experience in naname style (one or more courses) recommended.